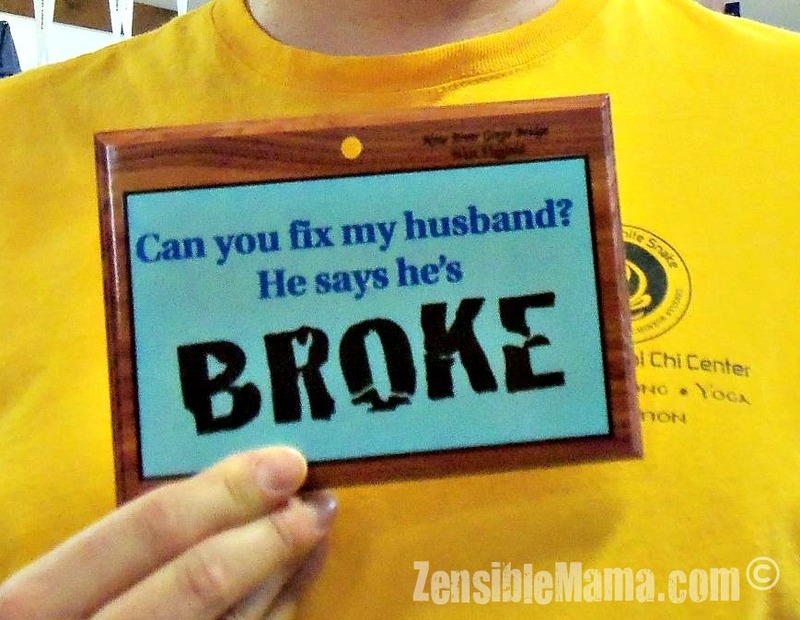 Zensible Mama: Can You Fix My Husband? Can You Fix My Husband? Did you like the photos you see today? Have one to share? Let us know. You could be featured here! For more interesting photos, check these wonderful blogs: The Bonafide Life, Better in Bulk, Shanamama, From Dates to Diapers, Not Your Momblog, The Divine Miss Mommy, Colorado Moms, Rajean Blomquist, Rachel Ferruci, Brain Foggles , Zensible Mama and link your own photo stories. 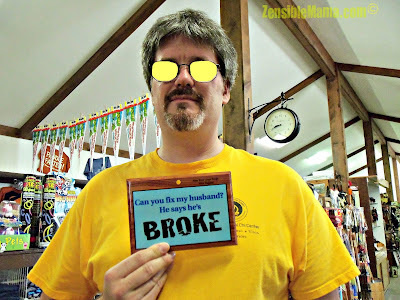 Hmm, not a lot of advice, although, removing those submarine-colored glasses is a good start :-) When he's fixed, can I borrow the sign for my hubby? Thanks for the laugh!